So here we are in 2012, the year the Olympics will come to London. Can I just ask everyone one small question? It seems like no time at all since we were celebrating the millenium (for a variety of reasons a night I will never forget) and suddenly here we are twelve years later. A lot has happened in that time both on a global scale and on a more personal one but when people said that time goes quicker the older you get, I didn’t realise they meant quite this quickly. So 2012, a new year and, for me, another new start. Trust me when I say I’ve had a few of these. But I’m determined that this one is going to be different. Because I’m different this time round. My life is different this time round. The biggest new start for me is moving back into my flat. I’ve owned my flat since 2006 but have probably only lived in it for maybe two years in the intervening period. The reason for this being that with my depression there were problems with me living on my own. Basically I couldn’t be trusted to keep functioning and doing basic things like eating and cleaning. So for the rest of the time I have been living with my parents. The lack of cleaning thing means that in order to move back my flat needs a really good spring clean. So that is my first job for the new year and it does equate to sort my life out! But I am looking forward to doing it as it is a step towards the independence that I haven’t had for so long and that I need in order to move on with my life. Also, there is a good chance that either me or one of my parents may die if we keep living together much longer. There is only so long you can live with your parents and answer the “where are you going, when will you be back, what are you doing today” questions when you have had the freedom to do what you want, when you want before. Of course, moving back to my flat means that I’m going to be spending a lot more money as I haven’t really been spending money on food or anything similar over the past couple of years. The thing with that is that in the past I haven’t exactly been what you might call financially responsible. Ooops? So I’m going to have to start -gulp- budgeting and getting my finances in order as at the age of 30. Alvin Hall, here I come. My other aim for 2012 is to get comfortable with my biggest demon: the mirror. Like a lot of women I really don’t like what I see in the mirror, despite Operation Fit and Fabulous, I don’t live comfortably inside my own skin. As a result I’m going to focus less on what my body looks like and more what it can do. So I’m going to run. I ran a bit at uni but an old back injury flared up and I stopped but I’ve been inspired by the fabulous Bangs and a Bun and her various incarnations of Team Bangs on the Run. So come September I am going to run the Run to the Beat half marathon. 13.1 miles that may very well kill me but I’m going to do it. And luckily I have a partner in crime for this in the gorgeous and fabulous Mrs Samantha Hadadi, one of my best friends and a truly gorgeous woman, inside and out. I’m also going to make a special effort with my diet, try and take my own food for lunch instead of relying on whatever I can lay my hands on when I’m at work. This should help both the finances and the waistline as I’m sure I’m eating a lot of calories I really shouldn’t be with lunch. I’m going to see a nutritionist to help with this as having been told I can’t eat gluten I think I need a bit more help with my diet to make sure I’m getting all the right nutrients to support my body. The most important part of what are effectively my New Year’s resolutions is to love myself. I have a horrible habit of beating myself up for every tiny little perceived mistake and whilst it is something I have worked on in therapy, I still have a long way to go. The good bit is that 2011 has brought me some new friends who will help me with this. And with that I want to say goodbye to 2011 with a massive thank you to my fantastic friends, the lovely people who have supported me through some tough times. Special thank yous go to Samatha Hadadi, Cate Merrick, Jo Gifford, Sarah Williams,Jayne Hardy, Lea Rice, Ali Edgar and Andy Hagan. You guys are brilliant and I love you. Another thank you goes to the lovely people who read my blog. I am hugely excited whenever I get a new follower or a comment so thank you and please keep reading. 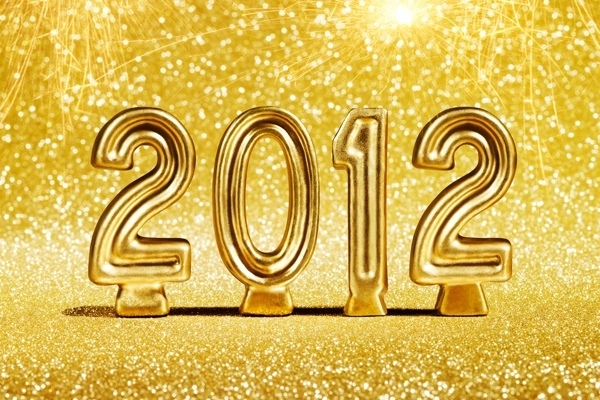 What are your plans for 2012? Have you made New Year’s resolutions this year? UPDATE: I meant to put this when discussing Run to the Beat above but if anyone wants to join me, Sam and Jo (who has commented she will be joining us!) then please let me know! I’d love to keep in touch with anyone planning to run and we can all keep each other going through the training- I’m going to need all the support I can get!! Wallis Simpson has been quoted as saying that “you can never be too rich or too thin”. I can’t comment about the former as much as I would love to be able to speak from experience but when it comes to being too thin, you can very definitely be too thin. I understand the irony of this post coming straight after one that is about my desire to lose weight and th purpose of Operation Fit and Fabulous but I actually think that, in a way, the two go together quite well. One of the reasons I like Operation Fit and Fabulous as a concept is because it is about the whole person rather than just the external packaging. One of our first missions is being kind to ourselves which is something we all could do a bit more of. How often do we all feel that we aren’t pretty enough, clever enough, thin enough, fit enough…. I could go on but I guess you see the point. The reason I’m writing this is that I’ve seen a series of increasingly worrying photos of LeAnn Rimes, Ali Lohan and Kate Bosworth- they are worryingly thin. LeAnn Rimes has apparently struck back at her critics stating that she feels she is healthy and people need to stop focusing on how much she eats but unfortunately if you live your life in the public eye then I’m afraid you can’t decide you want certain things left undiscussed. I had hoped that after all the furore over size zero a few years ago that this idea of being thin at all costs would have blown over and people would have worked out that being ultra-skinny is neither healthy not attractive. After all, once upon a time a bloke once informed me when I said that I wanted to lose weight (this was back in my skinny days when I probably weighed all of about 8st) that men would much rather have Kate Winslet than Kate Moss. On top of that, a bit of body fat is not only essential for good health but once you get past the age of about 35 it’s actually much more flattering than being ultra-skinny as it plumps out those fine lines (of course this is for those of us who don’t have the plastic surgeon on speed dial for Botox and fillers). But if you look at what the biological effects of that bit extra body fat are, you will see why it is equally as unhealthy to have a too-low body fat percentage as a too-high one. One of the women who has famously suffered the effects of eating too little is Gwyneth Paltrow who has, despite her relatively young age, been diagnosed with osteopenia, a precursor to osteoporosis. Whilst this could have a genetic component, given Paltrow’s history of radical diets such as eating a macrobiotic diet and the infamous maple syrup diet (consisting of a lot of water, maple syrup (maybe 12 tablespoons a day, not a lot), lemon juice and cayenne pepper, this is likely to be the major factor in her disease. But why do we do this to ourselves? I fully admit I’ve done a few silly diets in my time but I am not entirely sure why women like Paltrow and Rimes do this to themselves. I can at least claim that with a BMI stating that I am overweight dieting is logical for me but these women are tiny. They don’t need to diet. In fact the only diet they need to be on is one that ensures they get enough calories to support whatever exercise they are doing. So why do we do it? What is the lure in being so thin? It’s certainly not because it’s what the majority of men prefer. If you look at FHM’s all time top 100 women (OK this was actually compiled in 2008 but the principle still stands) the top ten goes Louise Redknapp, Cameron Diaz, Kylie Minogue, Pamela Anderson, Carmen Electra, Kelly Brook, Jennifer Aniston, Dannii Minogue, Britney Spears and Jordan. These women would all be classed as slim, maybe even thin, but there is not a waif among them. And there are several who are renowned and in fact positively notorious for their curves. So where does this pressure to be thin come from? And the awful, dreadful, hideous and only conclusion I can come to is that it comes from us. It comes from other women. How many times have we seen magazine articles saying “look how hideous so and so looks in a bikini”, that someone has put on masses of weight or someone else has lost masses of weight. One day we’re too fat and the next we’re too thin and what it boils down to in many women’s minds (and I do include myself in there) is that we have to look perfect in order to be accepted. The thing is, we don’t have to look perfect. No-one does look perfect. Speak to any one of those women I listed above and they will have some of the same hangups the rest of us do. None of us are completely satisfied with the picture in the mirror. But the difference is accepting the picture in the mirror. Not everyone is born to be a size eight. Almost no-one is born to be a size zero although there are a couple of rare examples floating around. And in accepting what we see in the mirror we will accept the other women in our lives and not project our own insecurities on to the others around me. So girls, what do you think? Can we stop judging each other and accept ourselves for who we are? Or is this a bit much to ask? I first joined Twitter about a million years ago (@thecupcake_girl if you want to follow me and don’t already) back in the dim and distant past that was April 2009 but it was only earlier this year that I started using it “properly”. I did all the normal things, following people my friends followed, randomly tweeted at a few celebrities (why not? If they make a public comment then I’m entitled to respond!) and slowly but surely, a profile was created. Now I have a list of my main Twitter girls who include the fabulous BeachBumBeauty, the wonderful DexterousDiva and gorgeous Sarah’s Scribbles which is the first place I check when I look at Twitter to see what is going on in my little online world. But as of a week ago there is also a hashtag which regularly check: #operationfitandfabulous. Operation Fit and Fabulous was born on a Sunday afternoon during a discussion on the merits of buying Christmas presents of tins of Quality Street early (decided it was possibly not the best idea!). We all wanted to lose some weight or get more toned up and so the already fabulous BeachBumBeauty came up with Operation Fit and Fabulous. BeachBumBeauty is well aware of the power of the team mentality. As a member of Team Bangs on the Run 1 and 2 she has now trained for two half-marathons (she was unable to participate in the first, the Semi de Paris, due to a back injury) and if the recent Twitter posts are anything to go by, the team and support it provides has been a massive help to all the participants. As such she suggested that we band together to form Operation Fit and Fabulous. The focus of Operation Fit and Fabulous is not so much losing weight (although that is a primary concern of mine as I have previously written) but feeling fabulous. I understand being fabulous as being healthy and comfortable in my own skin, something which I haven’t been in about five and a half years. The point of this plan isn’t to make major changes because to be blunt, we’ve all been there, done that and failed. So we’re making slow, gradual changes by way of missions that BeachBumBeauty is setting us each week. Each one is a small manageable task which over the lifetime of Operation Fit and Fabulous should add up to a new healthier lifestyle and a happier, more confident me. Now, due to feeling revolting over the past week due to my previously blogged about issues with gluten (actually feeling revolting would have been a step up from how I’ve been feeling) I haven’t really started this week’s missions so I’m going to start today and run a week behind everyone else. I also know which of these first week’s missions I am going to find the hardest: being kind to myself. It’s really not my strong point and it’s something that I have been working on for a while…. So for me, week one starts today! I’m going to boggle some brains by measuring my vital statistics over the next couple of months and alongside the standard measurements, I’m going to include an Energyometer, a rating of my energy levels from 1 to 10. Obviously I’m kind of hoping that over the next couple of months this is going to go up! If anyone else wants to join in with Operation Fit and Fabulous then please go to BeachBumBeauty’s Operation Fit and Fabulous page and leave a comment with your name, Twitter ID (if you have one, it’s a great way to connect with the other girls on the plan and get some support when you’re having a bad day), your goals, strengths, weaknesses, favourite type of exercise and the music you listen to when you’re exercising.